This gangly giraffe involves multiples of 12. 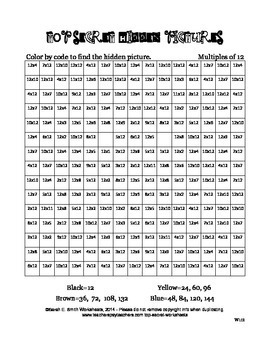 Fifteen rows of fifteen problems, minus two squares for eyes, equals 223 practice problems. 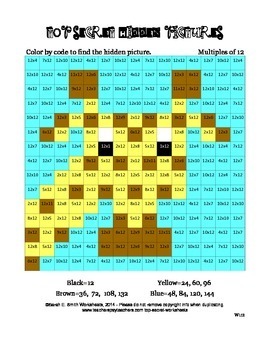 Your students won't notice, though; they will be discovering the hidden picture!